Hydration is very important in a extreme or survival situation. 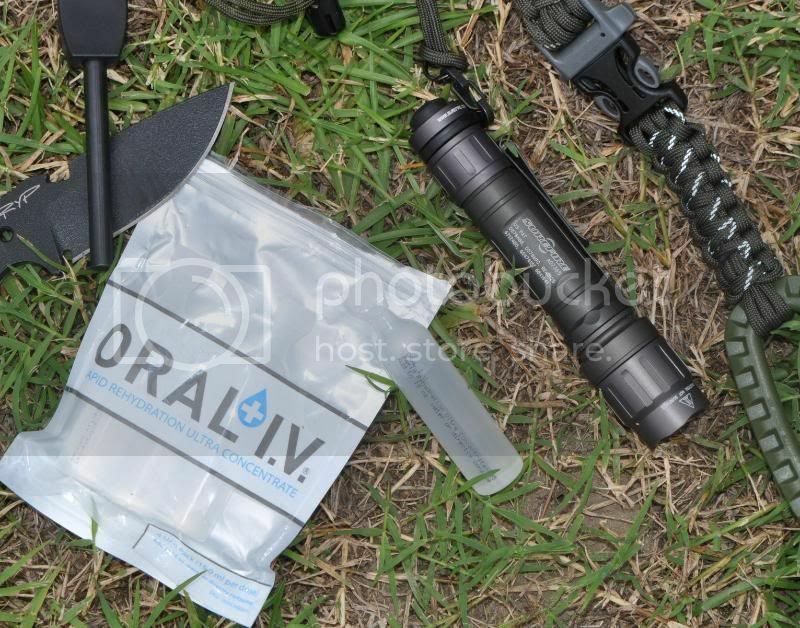 ORAL IV is a product that rapidly rehydrates your body. It supports faster recovery from strenuous exertion, helps maintain a heightened concentration and alertness, promotes oxygen uptake, and supports production of energy in the mitochondria. Go out and get one for your kit. It is just as important as that knife, firestarter, quikclot, or flashlight and wont break your bank.